Nadi, Fiji – Geoscience and ocean experts from around the Pacific convene in Nadi from June 6-8 to share knowledge and practices, present original research, and advance regional collaboration at the 31st Science, Technology, and Resources (STAR) Conference, hosted by the Government of Fiji. The theme of this year’s conference is Geosciences, Geo-engineering and the Ocean in the Pacific Region. STAR is an independent conference, hosted by the Pacific Science, Technology and Resources (STAR) Network. Current STAR Network Steering Committee Members include representatives from the Government of Fiji, independent technical advisers, and the Pacific Community (SPC). At the Regional Geoscience Meeting in Nadi in April 2015, Pacific Island delegates strongly supported the re-invigoration of STAR. The Science, Technology and Resources (STAR) Network was first founded in 1984 as a joint initiative between the South Pacific Applied Geoscience Commission (SOPAC) and the Intergovernmental Oceanographic Commission (IOC). The STAR Conference was hosted in conjunction with SOPAC annual sessions until 2013. 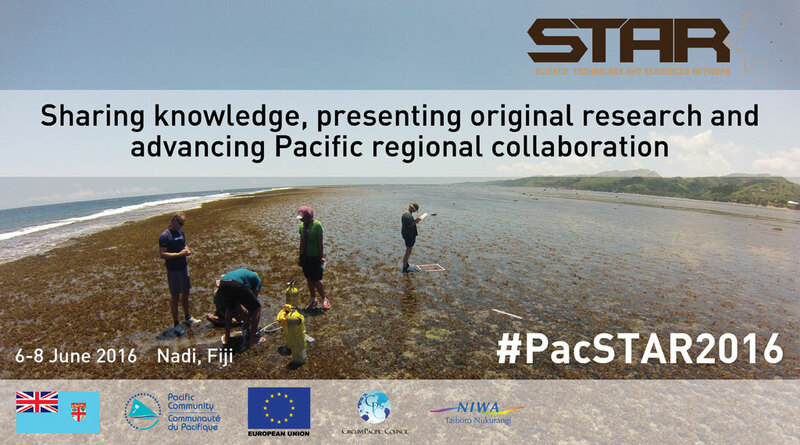 Following the integration of SOPAC into the Pacific Community (SPC) as the Geoscience Division, the STAR Network has had to reconsider the format and hosting of the STAR Conference. Participants at this year’s STAR Conference will present research on a variety of topics including: Ocean Science, Technology, Management and Governance; Pacific Cyclones and their Impacts; Geothermal Resources; Pacific Volcanoes: Science, Hazards and Impacts; and Geo-resources and Engineering, among others.